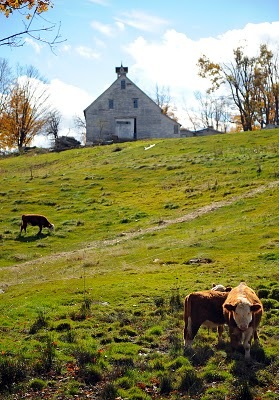 Cows graze in the field with Andy's barn in the background. He also raises pigs and chickens. Because Andy purchased the land in Westminster, MA, it was saved from being developed. 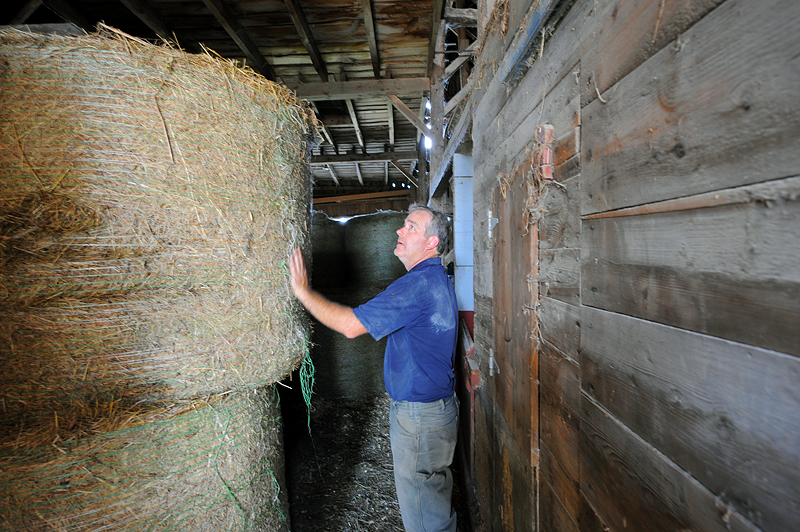 Andy stands next to large hay bales he's made that feed his cattle all winter long. 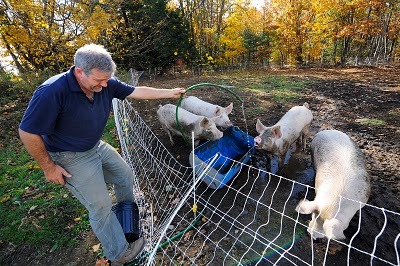 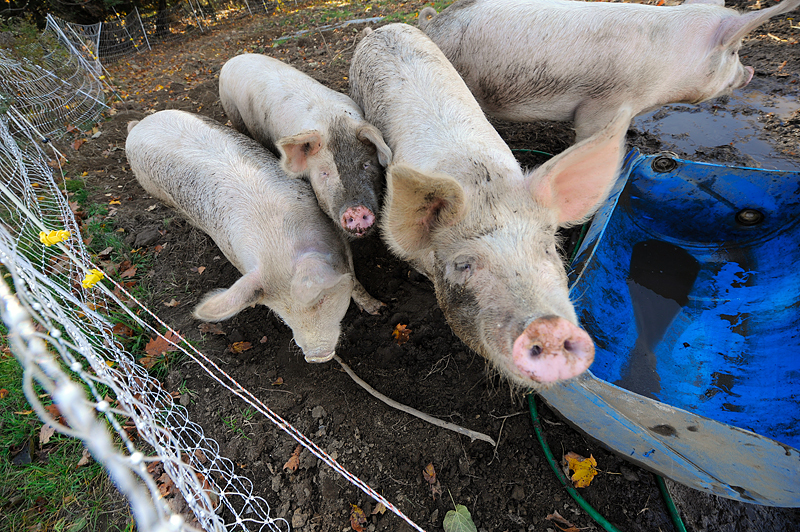 Andy gives his pigs some water on a warm October day morning. The pigs in the pen. 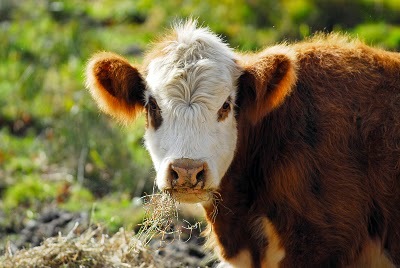 A cow munches on hay while grazing in a field.